Gerry moved to Roscoe, Illinois, in 1976 and began working at Freeman Shoe Company. Upon retirement from Freeman, she worked part time at Shopiere Tap where she met the love of her life, Robert (Bob) Brohn. Bob and Gerry married in August 2000. Gerry had many hobbies including crocheting, baking, cooking, fishing, and gardening, but more than anything, she loved spending time with her family and friends. Gerry’s motto in life was that everyone is welcome and everyone should be fed. 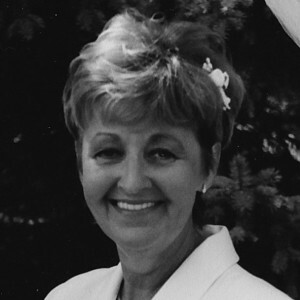 Gerry is survived by her husband, Bob Brohn; three children, Kevin (Heather) Jordan of Beloit, Wisconsin, Scott Dornboss of Beloit, Wisconsin, and Bobbi (Bill) Reynolds of Colfax, Washington; grandchildren, Cody, Jessie, Briánna, Graham, Morgan, and Cigne; and many friends who were considered family. She was predeceased by her parents; sister, Linda Aston; and brother, Richard Sexton. The family would like to give a special thanks to the UW Carbone Cancer Center and Agrace HospiceCare. In lieu of a memorial service, the family asks you to take a child fishing in Gerry’s honor.